Insured losses caused by hurricane Michael’s impacts in Florida, based on claims paid data collected from insurers by the Florida state insurance regulator, have now risen to over $5 billion, which is a near 25% increase in around six weeks. Despite reaching $5 billion, which is more than half some of the insurance and reinsurance industry loss estimates for hurricane Michael, only three-quarters of claims have been settled so far, suggesting the total will creep higher over the coming months. The hurricane Michael claims data is based on reports from insurers that operate in the state of Florida, which have been collected and analysed by state regulator the Florida Office of Insurance Regulation (FLOIR). As of early December 2018, the total had risen to just over $4 billion, having increased steadily over the months since the storm struck Florida. Now, as of January 11th 2019, the total insured loss estimate from the Florida insurance regulator has risen by around 25% to just over $5.02 billion. The FLOIR said that the number of claims filed has risen by almost 9% across the same six-week period, to more than 141,000. With claims still being filed and around 28% of them yet to be settled, it’s certain the toll will increase. Industry loss estimates for the insurance and reinsurance market-wide loss from hurricane Michael range from around $8 billion to as high as $10 billion. The FLOIR insured loss figures tend to be significantly below the industry loss estimates for every major hurricane, but the fact this has already reached $5 billion (so half the upper-end of industry estimates) with another 28% of claims still to be closed, suggests that loss creep may become a factor with hurricane Michael, as it did with Irma. Commercial claims continue to move slowly, with still only 25% closed so far. Residential property claims are now 73% closed, but commercial residential claims lag behind at just 35% closed. Business interruption claims from hurricane Michael are also slower going at just 30% closed. As we explained before, the market fears the development of an Irma-like loss creep with future updates to estimates for hurricane Michael and expectations for the eventual industry-wide total have been rising as a result. It seems there is some way to go before insurance, reinsurance and ILS market interests will know the full bill from hurricane Michael and there is a chance that some of the industry estimate providers have to further increase their figures. 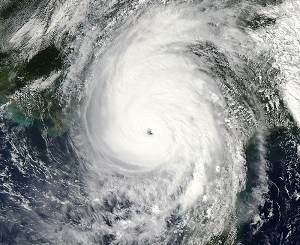 At the moment, the regulators data suggests its tally for hurricane Michael could even reach $7.5 billion or $8 billion, which currently is much closer to where industry loss estimates sit than has been seen for most hurricanes, where the FLOIR’s estimates tend to lag far behind the usual estimate providers figures. What this means for loss creep remains to be seen, but with 2017’s hurricane Irma still resulting in claims filings, we’re told, it seems likely hurricane Michael losses continue to rise.